Dental implants are a strong, stable solution for patients with one or more missing teeth. These permanent restorations function in the same way as natural tooth roots, providing an anchor for a replacement tooth, bridge, or denture. With dental implants, you can eat, chew, speak, and smile with comfort and confidence! Restorations supported by dental implants are held strongly in place, and will not slip or feel uncomfortable in the way dentures often do. Dental implants allow you to enjoy all of your favorite foods and restore your self confidence! The best candidates for dental implants are patients who are missing one tooth, multiple teeth, or even all of their teeth, but are in otherwise good oral condition. Adequate bone in the jaw is necessary as well to support the implant. If you are a candidate, Dr. Bednarski will surgically implant the titanium anchor into the jaw bone, after which a healing period will occur. This typically takes a few months, and is a necessary part of the procedure, allowing the implant to fuse to the bone and act as a tooth root. Once your healing time is complete, you will return to our office to place the restoration. This can be a singular dental crown if you’re missing one tooth, a bridge if you are missing a few teeth in one area, or even dentures if you are missing all or most of your teeth. You dental implants will securely hold you replacement teeth in place, and with proper care, will last you a lifetime! If you’re ready to restore your smile, we’re here to help. Dr. Bednarski is the premiere choice for dental implants restoration in the St. Louis metropolitan area. Dental implants can make any smile look like a work of art! If you’re missing one or more teeth, dental implants provide a stable, long-term solution for a fully functional smile. Implants are made from titanium, surgically inserted into the jaw and fused to the bone to act as an artificial tooth root. This small anchor provides a strong support for replacement tooth, restoring the beauty and function to your smile. Dr. Bednarski is the premiere choice for dental implants restoration in the St. Louis metropolitan area. • Single tooth replacement implant restorations: A single tooth can often been lost due to periodontal disease or an accident. A dental implant will allow you to complete your smile with a replacement tooth that blends in seamlessly with the rest of your teeth. • Multiple teeth replacement implant restorations: For patients missing a few teeth, multiple implants can be used with attached crowns. This method is ideal for patients with healthy gums and surrounding teeth. • Implant supported bridges: If you’re missing several teeth in a row, we can replace them by using a dental bridge anchored to implants. • Implant supported removable dentures: For patients who are missing all (or almost all) of their teeth, implants can be used to support a full set of dentures, improving the ability to eat and chew easily! Patients who are missing on or more teeth are typically a candidate for the dental implant procedure. Dental implants are an excellent alternative who no longer wish to deal with the embarrassment and inconvenience of missing teeth. With this comfortable, permanent solution, patients who once wore dentures will never have to deal with dental adhesives again! Dental implants are a permanent restorative solution for patients missing one tooth, multiple teeth, or even all of their teeth. Dr. Bednarski’s restorative options can turn a flawed smile into a work of art. Dental implants not only allow you to chew and eat your food with increased support and ease, they can help restore your confidence! Since they look, feel, and function just like natural teeth, you will be sharing your restored smile from the moment you walk out our door. For further information regarding our services and payment options, contact our office. Every smile is a work of art, but oral health is the most important aspect of your wellbeing. 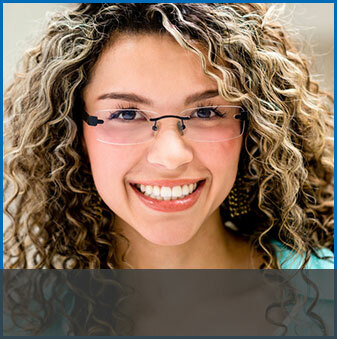 Dental implants can restore the beauty, function, and overall health of your teeth. Call or visit our office today and let us craft your perfect smile! 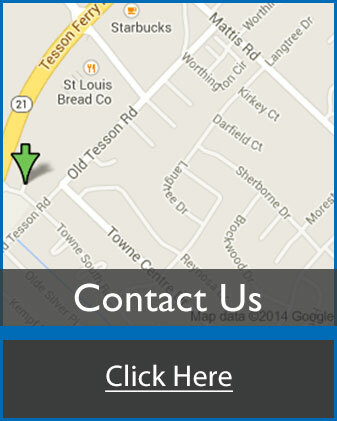 We proudly provide implant services to the St. Louis and Sappington area and we can’t wait to serve you.